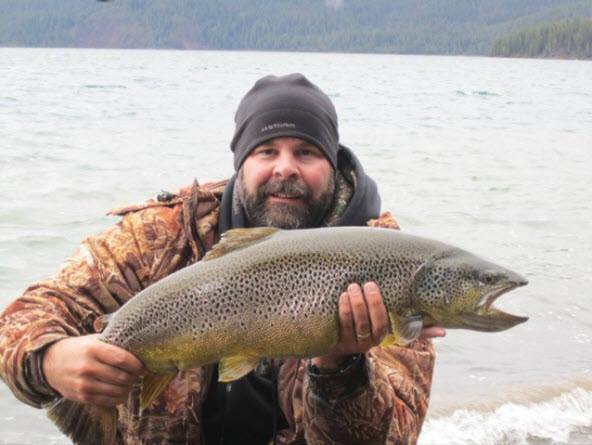 TrophyTroutGuide.com - Brown Trout/Ryan Daniels caught this killer 13 LB. hen brown at Paulina Lake recently. Congrats man! Ryan Daniels caught this killer 13 LB. hen brown at Paulina Lake recently. Congrats man!